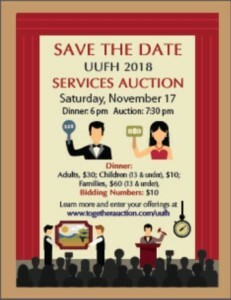 The annual Services Auction, which has been taking place at this Fellowship since 1978, is the only major fundraiser held at the UUFH for the benefit of operations. Further, it is only through this Services Auction—and annual pledges—that the Fellowship can provide the services and support that are the cornerstones of our mission, vision, covenant and principles. The donations collected through bids and raffle tickets are an important step in upholding this religious community. 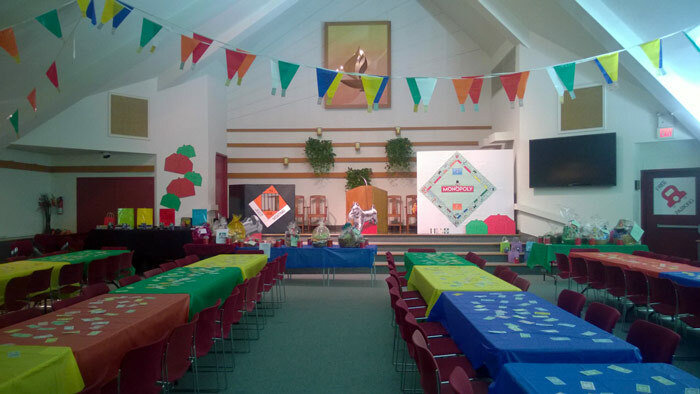 of offerings from congregants, including parties, foods, excursions, services, items, and instructions—even your own parking space or sermon topic—that are all compiled in a bidding booklet and on bidding sheets. 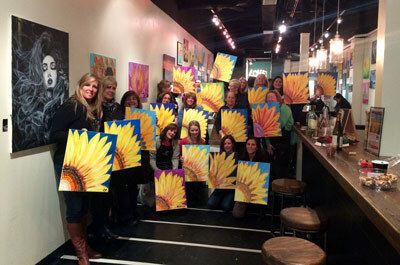 The night of the Auction held on a Saturday each November, begins with a dinner for all ages. There are raffles offered by all the committees, a live auction, entertainment, and a fast bidding war to make sure you get to win the parties and more you can then enjoy for the next year. In recent years we’ve added a theme to make it even more fun, like the Renaissance Faire to honor another fundraiser of our past, and UUFH-opoly, a play on the game Monopoly. The Services Auction is more than a fundraiser; it’s also our social event of the year, and one that keeps on giving as you can soon fill up your social calendar for months. Look for details for our next Auction soon. Meanwhile, there are Second Chance Auction items you can sign up for throughout the year as spots open up in parties and excursions. Watch the Beacon and Flash for information.